While we’ve already awarded David Durbin the “Durbin Prize” for the best individual medal, I wanted to exclude him from this category to give us mere mortals a chance at glory. I’ve never seen as many medals as what I saw in 2017 and many of them brought their A-game. So these four finalists really stand out in such a crowded field—they embody all things Fiesta and or San Antonio and I’m excited to see which one y’all choose to be the winner! Voting ends on May 1st at 11:59:59pm. Which is your favorite Individual Medal in the 2017 SA Flavor Contest? Roy and Liz Saenz’s Bejeweled Calavera—before we talk about the medal, let’s talk about the people. Roy and Liz are true fanatics, they know everyone and are incredibly kind and friendly. I’m so happy I was able to meet them this year and hang out! Their medal has some added “jewel” bling on the crown and nose and showcases what I love of SA: calaveras, margaritas, mariachis, papel picados (with the Alamo! (look closely)) and the NIOSA cups. Well done! Eddie and Stella de la Garza’s Joske’s—long before H&M (and even Dillard’s) the Joske’s department store occupied the corner at Alamo and Commerce. Eddie and Stella paid tribute to this old school store in a way that elicited a lot of emotion from natives. And the only way you could get it was by trading (and Eddie is a tough person to trade with!). The maracas, sombrero, flowers and Tower of the Americas set it off. Well done! 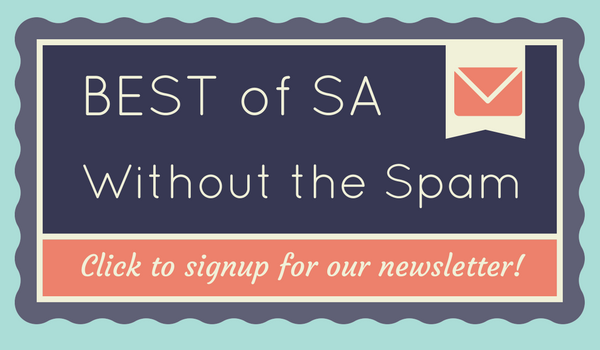 Roxanne Quintero’s Fideo—you don’t have to go through a fancy medal provider to be entered in this contest. Proof in the pudding: Roxanne Quintero’s homemade Vermicelli tile medal. I can’t tell you how many people commented on this medal and wanted to get a hold of one—I think it surprised even Roxanne who was trying to make more but had the bottleneck of getting the tile to cure! It was one of those visceral medals that elicited such a reaction from all who saw it! 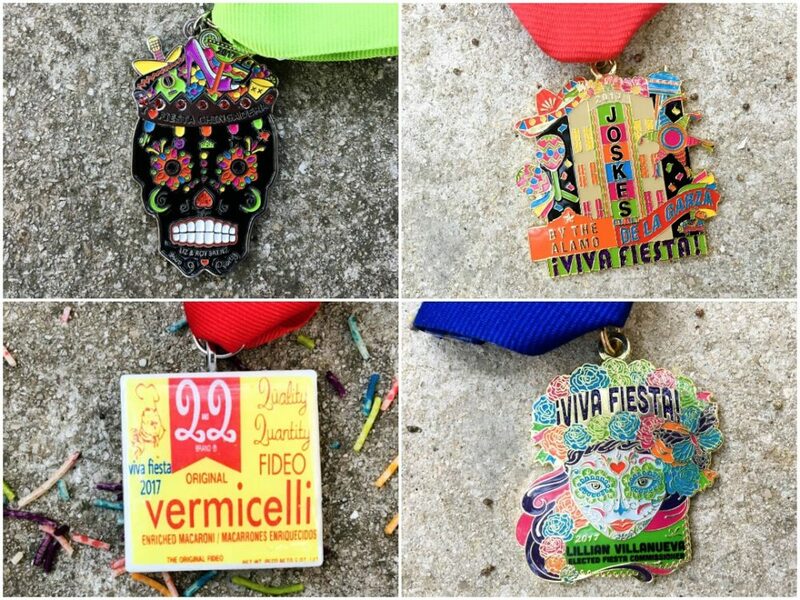 Lilly Villanueva’s Calavera with Flowers—one of the Fiesta Medal Maniac admins and a Fiesta Commissioner, Lilly brought it with this medal! As you can probably tell, I’m a sucker for calaveras and this one is absolutely stunning, complete with a Fiesta Hat full of flowers. And hidden in the colors is a beautiful butterfly to the right. This medal proves that the Medal Maniacs not only have the 4-1-1 on where to get medals, but can make pretty amazing ones to boot! This is the last category—I seriously don’t know how all you Fiesta Medal Maniacs are going to choose. These are unbelievable and a testament to the creativity in our city. Voting closes on 5/1/17 at 11:59:59pm! ¡VIVA!